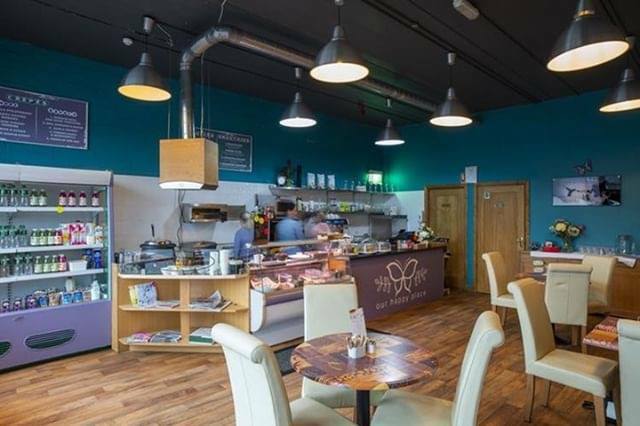 This lovely café is sure to satisfy even the pickiest of eaters’ appetites, offering healthy foods. The menu includes soups, salads, plus a mouth-watering Boxty wrap and many other options, including some catering to vegans and people with special dietary needs. Of course, that’s not to mention staples such as tea selections and speciality coffee, plus sweet treats. As well as delicious food and scrumptious cakes, this café stands out thanks to its social inclusion “twist”. Owner and chef, Katelyn Quinn has created something really special, not only a happy place to visit but also a happy place of work for people in the area living with autism, Down syndrome and other learning disabilities who are encouraged to join the Happy Place staff. Tue. - Sun. 9:00 am - 4pm.